We are posting three pieces following the Labour Party’s adoption of the IHTA statement on Anti-Semitism. 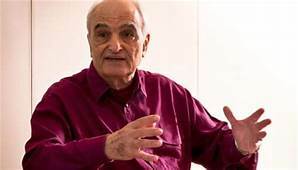 the first is by Moshe Machover, founder member of the socialist Matzpen Party in Israel, who successfully resisted a joint Zionist and Labour Right attempt to have him expelled from the Labour Party. The second is by a Shahd Abuslama, a Palestinian artist at Sheffield University. The third is a statement from Radical Independence Campaign’s Edinburgh branch.